In this book a non-linear system of partial differential equations will be established as a mathematical model of elasticity. An energy functional will be established and it will be seen that the equations of equilibrium can be obtained as the Euler equations starting from the energy functional. Existence results will be studied. The basic notion of how topoi can be utilized in physics is presented here. Topos and category theory serve as valuable tools which extend our ordinary set-theoretical conceptions, can give rise to new descriptions of quantum physics. This is an introductory course about random matrices. These notes will give the reader a smell of that fascinating tool for physicists and mathematicians that are Random Matrices, and they can give the envy to learn and search more. 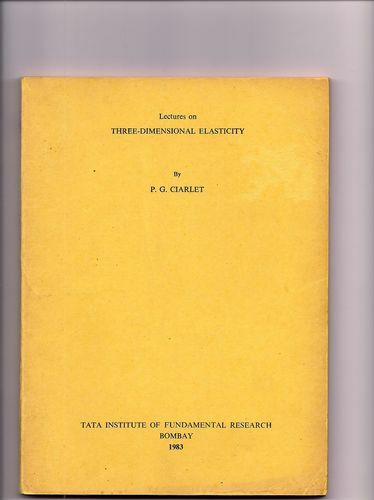 This book provides an introduction, with applications, to three interconnected mathematical topics: zeta functions in their rich variety; modular forms; vertex operator algebras. Applications of the material to physics are presented. Reviews Lie groups, differential geometry, and adapts the usual notion of linear tangent application to the intrinsic point of view proposed for physics. The theory of heat conduction and the theory of linear elastic media are studied in detail.